Checkout branch and give it name "pvhvm"
Make sure you have updated config.flavour.pvhvm before proceed. To pick up number of previous version. This files does not exist and in order to make the compilation process aware of our own flavor we want to compile we need to create it. $ git commit -a -m "pv Modifications"
Changes done to kernel been rebuilt . 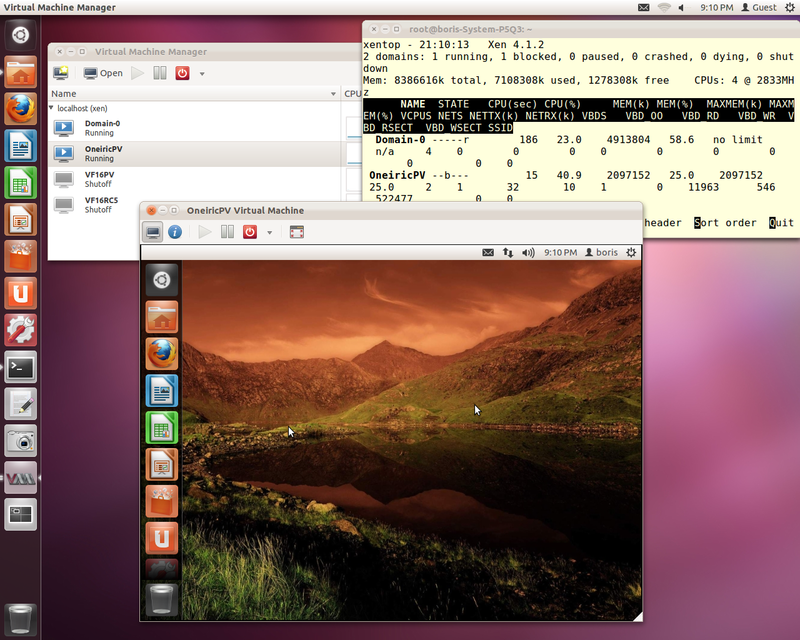 This post is sample of utilizing optimized paravirtualized PVHVM drivers (also called PV-on-HVM drivers) with Xen fully virtualized HVM guests running Ubuntu 3.1 kernels at Xen 4.1.2 Dom0. Xen PVHVM drivers completely bypass the Qemu emulation and provide much faster disk- and network IO performance. 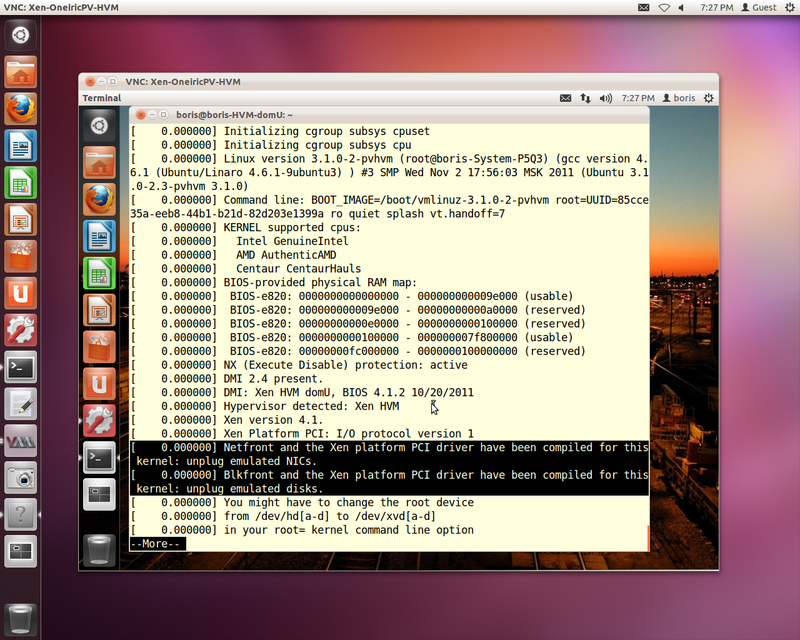 First thing I had to do it was rebuild the recent Ubuntu kernel for precise Ubuntu-3.1.0-3 ( follow ) with CONFIG_XEN_PLATFORM_PCI=y. As result following debian packages gets created. I’ve updated only “git clone” to get 3.1 kernel. 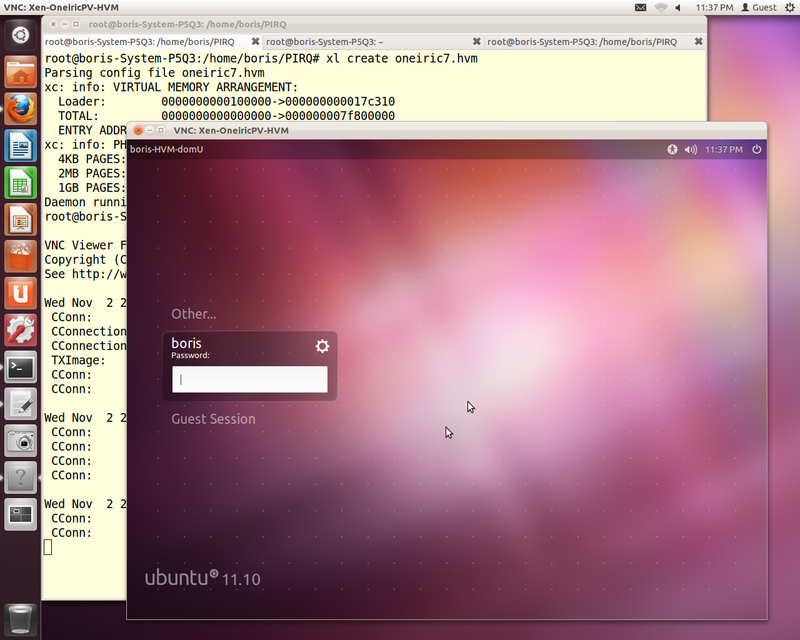 have been scp’ed to Oneiric HVM DomU and new 3.1 Ubuntu kernel has been installed. [ 0.000000] Xen version 4.1. 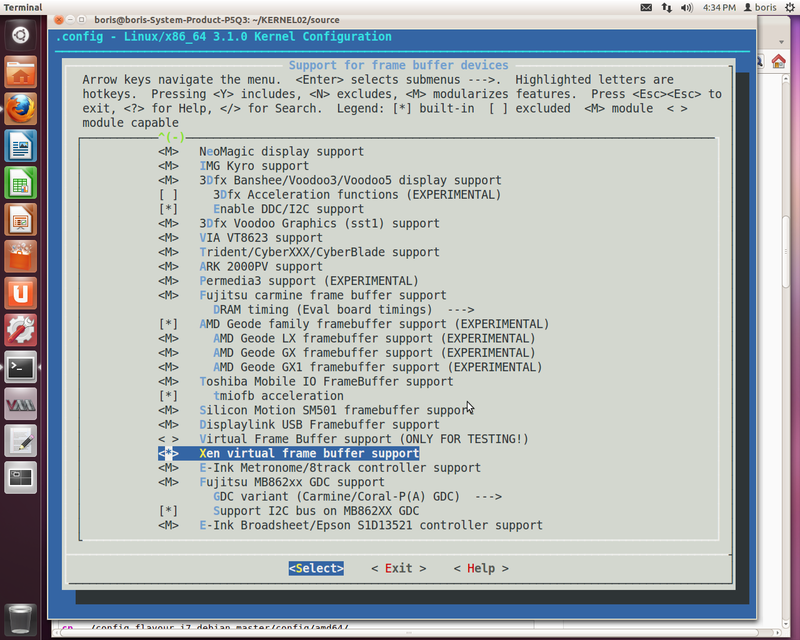 [ 0.000000] Netfront and the Xen platform PCI driver have been compiled for this kernel: unplug emulated NICs. [ 0.000000] Blkfront and the Xen platform PCI driver have been compiled for this kernel: unplug emulated disks. [ 0.631112] xen/balloon: Initialising balloon driver. [ 0.631125] xen-balloon: Initialising balloon driver. [ 1.255228] blkfront device/vbd/768 num-ring-pages 1 nr_ents 32. [ 1.274037] Initialising Xen virtual ethernet driver. You are currently browsing the archives for the PVHVM Xen drivers category.